Silver Lining is a sparkling steel from the Glow eyeshadow range. A metallic gun metal with just a touch of silver sparkle. I loved this steely grey color, but the formula not so much. The color base is sheer with little color payoff and you will get bits of fall out from the glitter particles. There is a place for sheer sparkle eyeshadows in makeup and if you do like that formula Silver Lining is a very pretty color. This couldn't have come at a better time because I ran out of my trusty Stila Stay the Day liquid liner and now I won't be replacing it. With a super fine tip applicator you can create perfect lines from thin to thick. This felt tip is so thin at the end that the flick of your liner will be sharp every time. The liquid liner glides on effortlessly and sets quickly to prevent smudging for 14 hours. What I enjoyed most about this eyeliner is that it's a soft matte black. I go through phases with liquid liner, sometimes I feel it's overwhelming to my light eyes. If you're fair or have light eyes I think you'll dig this one because it isn't so harsh. It's also incredibly water-resistant, this stuff is bulletproof in resisting water and fading throughout the day. This luxurious mascara delivers dramatic, deep black, lusciously thick, and extravagantly long lashes in one stroke. The unique helix shaped brush coats and separates each lash for perfect definition and clump free wear. Hi-Tech polymers boost strength and volume of lashes and ensure long lasting and smudge-proof wear. Voluptulash has a curvy brush and a dry formula. Having found my favorite volumizing mascara already I didn't think I would be able to like something else, but I do! The color is a rich black and the dry formula lets you easily build it up with out clumping. It held curl, added volume, and lengthened my lashes. I can wear this all day and it still looks freshly applied. Second favorite mascara right now. 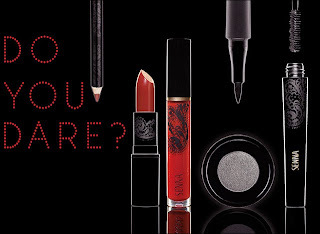 Lip Lacquers are moisturizing, pigmented, vanilla scented glosses that lean more towards a liquid lipstick. Maraschino is a cherry red with small amount of red micro-shimmer infused. The color is pigmented but not as bright as it looks in the tube, its a translucent juicy cherry red with the finest shimmer. 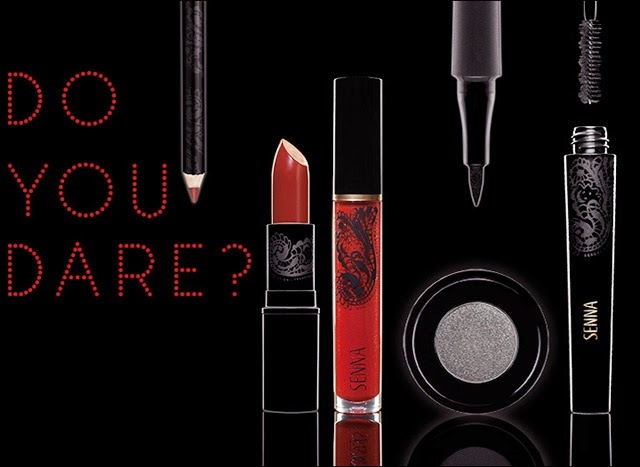 If you find red lips intimidating this is the subtle way to go about them, well as subtle as a high shine gloss gets. Maraschino was stickier than the cream lip lacquers, likely due to the shimmer, but it's not bothersome and is just so so beautiful on. Crimson is a classic shade of red that compliments Venetian Red Cream Lipstick and any red perfectly. The liner is has a soft texture giving you clean and crisp definition. The color is more of a muted brick red, a nice shade to have because it doesn't produce strong undertones that might interfere with your lipstick color. Aaand my favorite product from Senna, the cream lipstick's! Moisturizing, velvety smooth and creamy with a light vanilla scent. Venetian Red is described as a true fire red. There are no alarms going off here though, this shade is a very classy true neutral red that could go from day wear to date night. This will suit warmer skin tones best, it goes a touch too brown on me, but that can be easily be remedied with a topping of Maraschino lip lacquer. 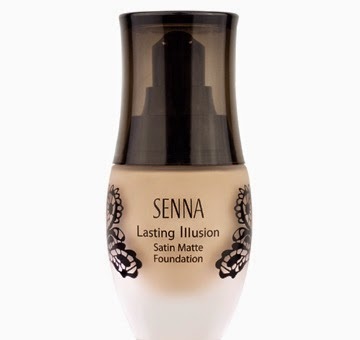 Lasting Illusion Foundation isn't a part of the collection but is a newly released foundation in the Senna lineup. Being very picky about my foundation's I rarely change or even experiment with anything new. I'm glad I gave it a try because the result is beautiful. Lasting Illusion has a medium buildable coverage with a satiny finish. I would describe it as very "Dita Von Teese". The way her foundation looks almost porcelain doll like, not shiny but has that glowy satiny finish. I had to work with this foundation a few times to get the application right, I found applying with fingers worked best. After a full 8 hour day I had only a bit of shine peeking through. I detect a vanilla scent to it, which is unusual for a foundation and that's the only thing I didn't care for. If you're looking for medium coverage foundation to brighten up the dull dry Winter skin many of us are experiencing right now Lasting Illusion would make an excellent choice. Satin Illusion foundation has 7 shades in the range. Alabaster was just about right for my winter skin tone, all of the other shades lean yellow & towards warmer skin tones. I know I'm constantly repeating myself in reviewing Senna's products because they are consistently high quality each and every time. Do You Dare plays with classic pin up pairings while giving it a fresh and modern spin. 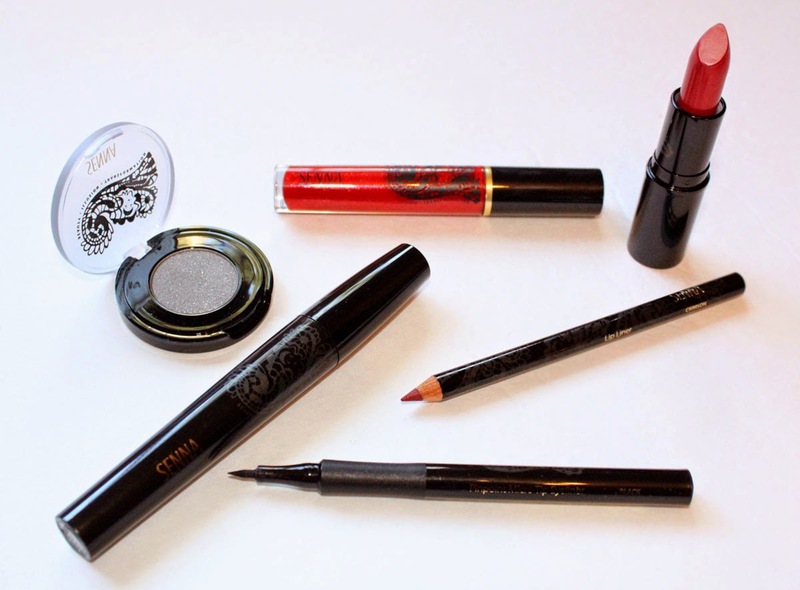 What to get?...The liquid liner you'll get purrrrfect cat eyes and Venetian Red Lipstick for an every day/beginner's red lip color. Best part? all of these products are a part of the permanent line.